Small snap-fit cable carrier with enclosed top. All the other cable carriers I'd tried to print either fit poorly or were too large. Each link is slightly larger than a dime. Still need to make end terminations, and I will likely be making some different sized derivatives in the next week. Print with .3mm layer thickness, 1.5 w/t and no support for best results. 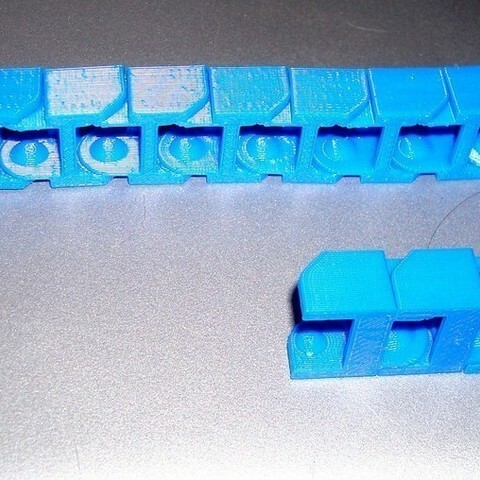 Your printer needs to be good at bridges for this to print correctly.